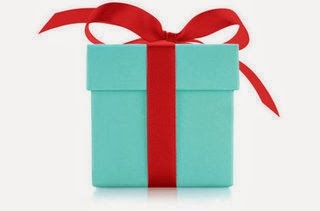 Yesterday while out racing myself to complete Christmas shopping I was at Tiffany's waiting on my purchases to be wrapped in the pretty blue boxes with red ribbons and realized I LOVE that they wrap them in front of you. I am also one of those people that when staying at hotels I like to watch the bed being made to hopefully learn a trick on how to make my own bed more like a hotel. So as I had the lady show me how as she was doing it I thought I'm sure there is a video out there that shows this...and there is! So I thought I would share...how to tie the perfect bow that keeps the bottom of your package flat and unties with one pull!